Amazon.com description: Product Description: For sales managers, the need to keep key accounts happy--and growing--is just as important as closing the first deal. 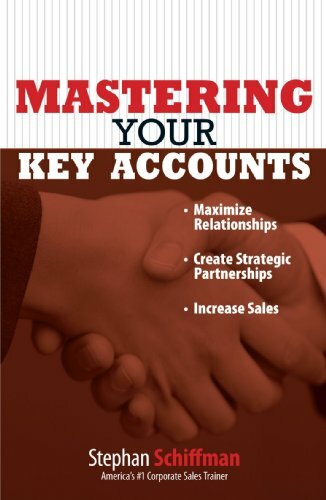 In Mastering Your Key Accounts, world-renowned sales guru Stephan Schiffman teaches sales managers to identify key team players, and build alliances to conquer vital territories through developing a Major Account Mapping worksheet. Armed with Schiffman's dynamic action plan, readers can generate new business, penetrate new accounts, and maximize existing relationships with key clients.